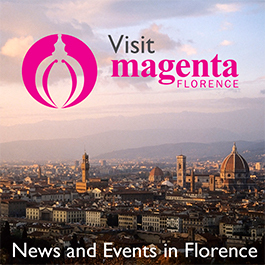 Until July 24: PISTOIA BLUES FESTIVAL. Piazza Duomo, Pistoia. Opening time depending on night. Echoing Lou Reed, Bob Dylan, Robert Plant, and Frank Zappa, Pistoia Blues will fill the square with a variety of famed musicians for its 36th year. On this occasion, fans will await headliners such as Santana and Sting. Hozier, an Irish musician and singer-songwriter who only released his first studio album in September, 2014, will rock the crowd with his strong bass and firm beat on Tuesday, July 7 at 9:30 pm (gates open at 7:30 pm). Following this, the folk singer-songwriter Passenger bring his poetic lyricism and smooth vocals to Pistoia on July 15; gates open at 7:30 pm and the show starts at 9:30 pm. The first event on the program of a musically packed weekend will be Italian Blues Night, dedicated to the late B.B. King, Friday, July 17 beginning at 7 pm. Two concerts are scheduled on Saturday, July 18: Black Label Society at 9 pm (gates will open at 6:30 pm) and The Darkness (11 pm). Black Label Society is an American heavy metal band formed in 1998 by Zakk Wylde, guitarist for Ozzy Osbourne that are sure to bring the head-banging intensity of their tireless energy. Immediately following them, English rock band The Darkness will perpetuate the atmosphere of the night, playing many songs from their quadruple platinum album. 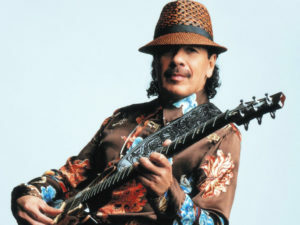 Rock and Roll Hall of Famer Santana and Latin rock will make an appearance on July 21 as part of his Corazon Tour. Performing since the late 1960s, his playful sound incorporates blues, psychedelic, jazz, and pop rock. Gates open at 7 pm and the show begins at 9:30 pm.